Top US-based researchers have warned that average costs for plants coming online in 2020 are Rs 4.40 per kWh (or unit) for domestic coal and Rs 5.15 kWh for imported coal, which is considerably more than the prices for photovoltaic solar and onshore wind power – Rs 2.97 per kWh and INR 3.46 per kWh, respectively, wondering why India consists on having new coal-fired plants. Pointing out that “the country’s current coal proposals will likely lead to either more underused or 'stranded' coal plants, and/or lock-out of lower carbon and potentially less costly electricity sources”, the researchers have said, already this is starting to happen. “Many plant proposals were deferred or abandoned due to issues such as financial distress by the proponents, difficulty securing a coal supply, lack of power demand from cash-strapped state electricity distribution companies, and an inability to secure permitting or compulsory land acquisition because of community resistance”, they underline. 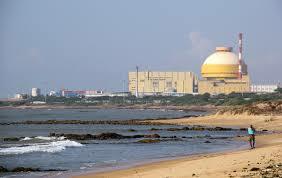 Understood but why is nuclear getting a big recco? World is rejecting it by India has to welcome it? Seems to have unstated motives ?